Superdry men's SUPIMA® cotton crew jumper. 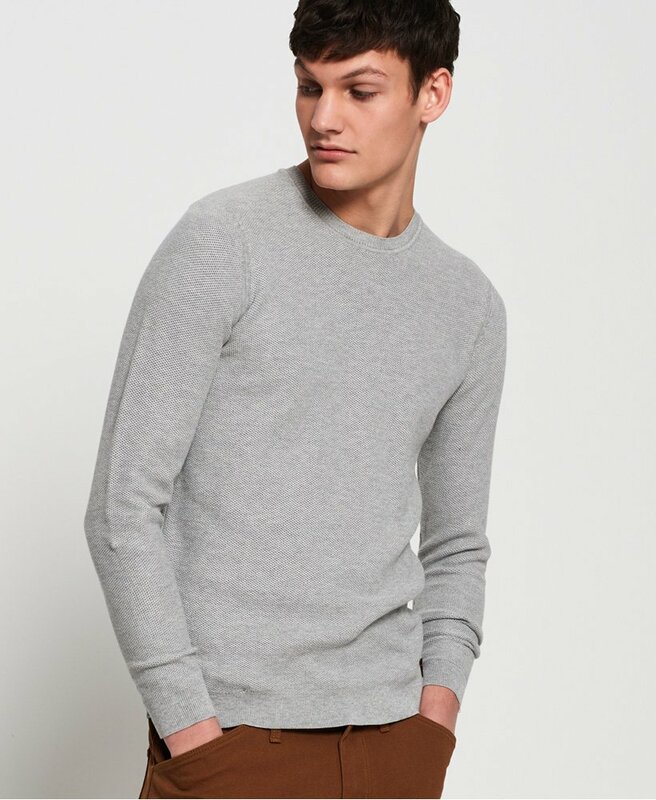 This crew neck jumper features long sleeves and a ribbed collar, cuff and hem. Completed with a Superdry logo badge above the hem. Pair with a pair of jeans and boots for an on trend look this season. SUPIMA® is a superior type of cotton grown in the USA. SUPIMA® Cotton is unique due to its extra-long staple fibres which gives the cotton its premium properties, producing softer and longer lasting fabrics.